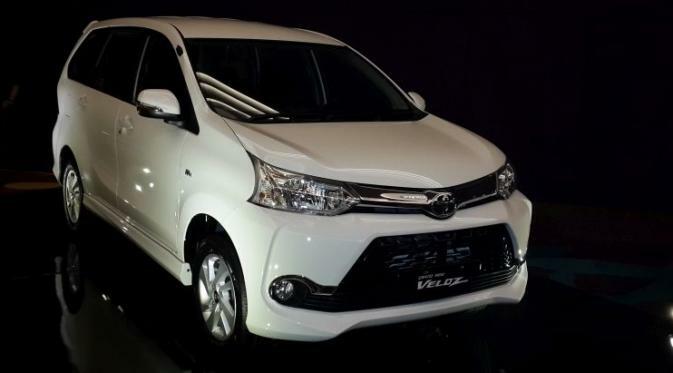 And the release of Grand New Avanza Veloz not only confirmed the existence of Toyota in low MPV segment, but also be a marker for the release of the Veloz line-up Avanza. If the previous version Veloz is the highest variant of Avanza, then this version Veloz is a separate model. This was disclosed by Widyawati Soedigdo as GM Corporate Planning and Public Relations of PT Toyota-Astra Motor (TAM). "From now on we distinguish (between Veloz and Avanza). Thus, these two models are different but are in the same segment," said Widyawati current-event test drive Avanza Veloz to Cirebon. The exit of the line-up Veloz Avanza abolished marked with the word 'Avanza' in front of the word 'Veloz'. As is known, the previous version of the official name of this model is Avanza Veloz. Widyawati added, the strategy diitempuh solely because of consumer demand Veloz itself. According to him, consumers Veloz want exclusivity. "Consumers want Veloz Avanza is distinguished from other consumers," she said. To note, the Grand New Veloz is available in four variants, namely 1.3 M / T, 1.3 A / T, 1.5 M / T, and 1.5 A / T. The four were priced between Rp 204.2 million to Rp 226.9 million.